Jewelry boxes come in many forms, shapes, sizes and designs. And if you happen to be looking for the right jewelry box where you can fit all your precious jewelry collection or those new jewelry you need to display on your, then it is just important to know what kind of jewelry box will suit your collection or display. And NileCorp.com, being your trusted jewelry boxes and necklace displays seller, wants to help you with this dilemma by providing you with the right information about the different kinds of jewelry boxes, their features and their uses. Jewelry Armoire is a large jewelry boxes that resembles closet cabinets in a way. They are intended to use for larger jewelry collections, and often have several cabinets, hooks, storage drawers and sometimes, a mirror. Jewelry boxes are the most common and usual of all. It best suits to keep a small collection of jewelries including necklaces, earrings and bracelets. It features little cabinets and perhaps a small mirror inside. Musical boxes are more popular with teenagers and children, often made from pressboards. Expensive musical boxes though are made from porcelain or wood. They can keep an amount of jewelries similar to jewelry boxes. Ring boxes can be made from wood or leather, but mostly have inside leather lining for the rings’ protections. 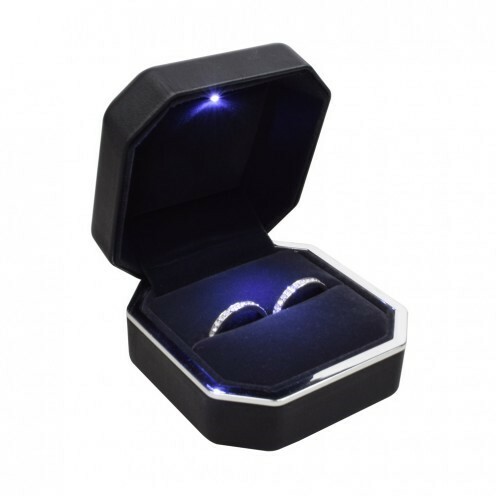 You can either placed a range of 6 to 12 rings depending on the size of the ring box you bought. Valet boxes are the jewelry box for men, where they can keep their watches, rings and wallet. It is mostly covered with dark leather and possessed a rugged design compare to other jewelry boxes. Wall-mounted boxes can be hung on the wall similar, and has the similar look as a medicine cabinet. 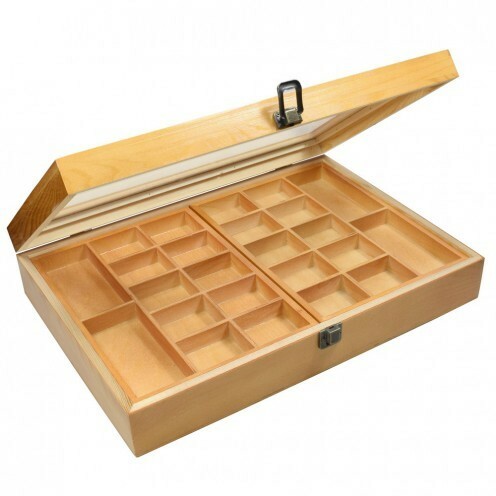 It has a mirror on its surface, and when opened features several compartments for different types of jewelry. Watch box are made solely for keeping your watch collection all in the same place. 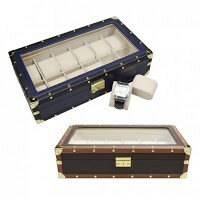 Like other jewelry boxes, it has leather lining inside to protect your luxury watches. During holiday season, you’ll see a lot of shops doing decorations showing the holiday spirit. From clothing shop, tech stalls to jewelry shops, you won’t see a stall or business that doesn’t have a Christmas decoration in it. But really, why is it important for a business to decorate during the holiday season? That’s what we’re going to answer for today’s article. You see people have hard-wired their brains to see Christmas decorations every holidays not only on their homes but also on malls, shops and the streets. Through traditions, people will find it hard to even distinguish a shop that has no Christmas decorations when everything around him has. This was also proven when an illustrator and web comic artist named Gergely Dudás drew a group of snowmen all bundled up together with one panda hiding within them. Many people had a hard time finding the panda within the group. So if you think that putting Christmas decorations on your shop seems irrelevant then better think again. Christmas decorations are one way to attract customers. The more your holiday decorations stand out from the rest, the more likely customers will flock in your shop. Like for example, a jewelry shop looks more attractive when there are decorations on the window display like put little snowflakes on the window and placed items like silver jewelry with bluish gemstones that works perfectly with the winter theme. 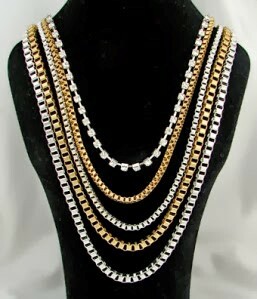 Or how about instead of dark jewelry bust displays, try to use white necklace displays and placed gold necklaces on them. The contrasts between two colors will cause the jewelry to standout and be seen easily by your customers. Another way to add more to the festive theme is to use white or green packaging with Christmas cards. This works especially for those who are looking for jewelries to give to their loved ones. Actually, you can also put a gift packaging corner to your shop where customers can pick what kind of package and ribbon to use on their purchased jewelry. This idea might even boost your sales further this Christmas season. Just remember this festive holiday may bring a lot of stress but enjoy it while it’s there. Besides, it only happens once a year. During the holidays, there is a bigger chance to improve your sells and this means a chance to get more customers. But aside from this high season, it is also important to consider your shop. Is it ready to accommodate all those customers looking for jewelry? Will your jewelry display attract them to buy? Well, this article will give you 5 tips on how you can sell more during this season. 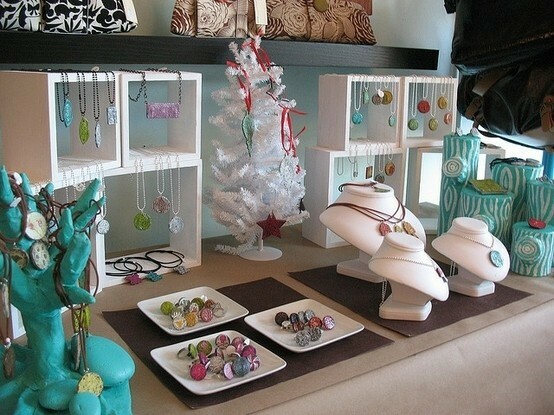 Your jewelry displays should always be proportional to the amount of space available in your storefront. Another thing is that your jewelry display should be proportional to the size of the jewelry as well. You only have around 10 to 15 seconds to get a customer's attention, one way of doing this is to provide contrast on your display. 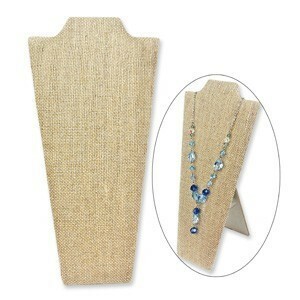 This way your jewelry will definitely standout from the display itself as seen in the photo above. Another thing to give focus to is the color of your jewelry and the display you use. As possible, make sure that the jewelry displays suits perfectly with the color of the jewelry you display on it. Another tip is to use mirrors to add depth and dimension to your booth. 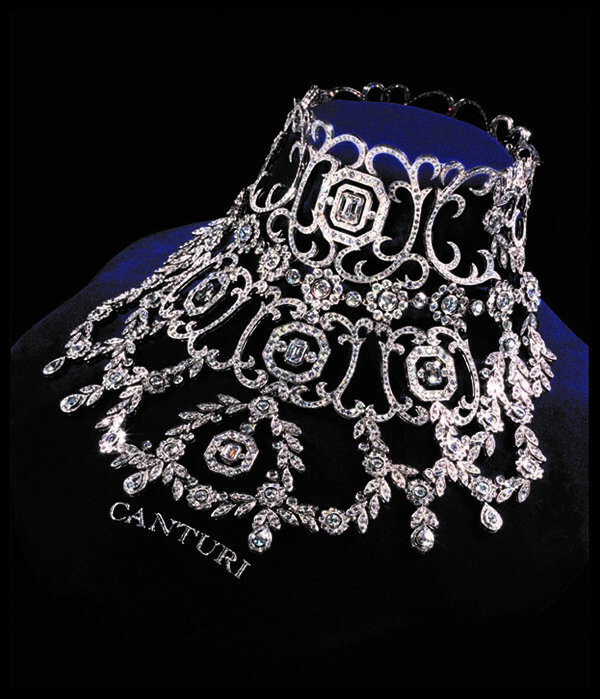 The perfect lightning can also bring out the beauty of your jewelry thanks to its reflective materials. Lastly but most important, pay attention on how you organized your jewelry displays. This will be a big thing to customers, it is pleasing to the eye, and it will be easier for your customers to differentiate each jewelry from the other. Holiday gives businesses the best advantages of all seasons, more sales, more customers, brand exposure, and more products to introduced. But this also means that your shop will be busy as people walk-in and out of your store. That's why it's also important to be a plan early and keep your jewelry store organized this coming holidays. Don't miss any events this year, fill up your personal calendars. 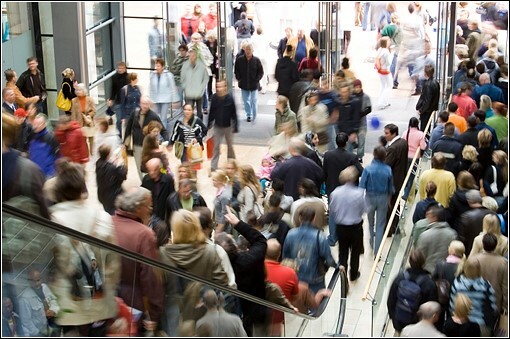 Keep track of everything and each activities there is for your retail store. You can also take note of all the shopping holidays there is, the promotions your planning to do and when to launch those. Better foot traffic, better shopping. There will definitely be an increase of customers in your shop, and the question will be is your shop ready for it? As much as possible, allot some space to allow your customers to move freely around your store so they can see more of other jewelries without having a hard time. This will make your customers comfortable while allowing them to try and see more of your jewelry collections. Labels are important, it helps customers and makes shopping more easily. Like if you have a wrapping service in your jewelry shop, point out where the it is so customers won't ask questions again and again. Another great way to attract customers is the proper placement of your promotional posters. Make sure they are placed somewhere that customers can see clearly. You can put in the front of your store or by the shopping window. With the latest arrival of different jewelry displays, you now have more options as to how you can showcase your jewelry in your retail store or when joining events and trade shows. This November, we’d like to bring you more ways to showcase your vibrant jewelry pieces and inventory in a whole new way. 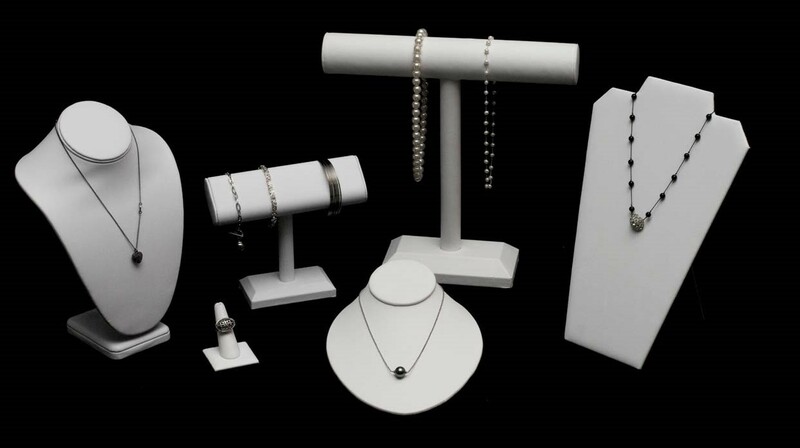 No need to go looking for other sources for your ring or necklace display needs because we made sure to pick up the pieces that will be useful for your jewelry business. 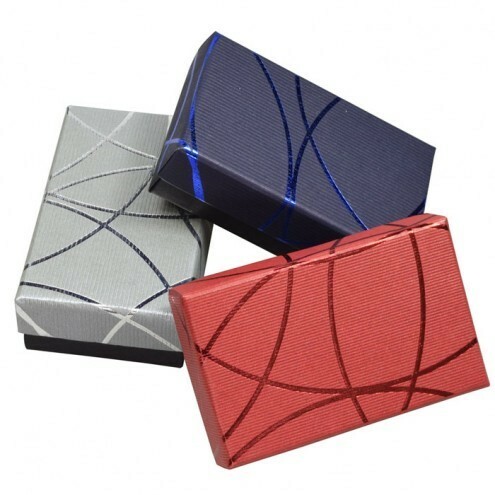 Included in the new products we have to offer is a variety of textured printed jewelry boxes. Below are some of the items that you can find in our New Arrivals section. Enjoy your shopping! 1. If a piece of jewelry has been sitting at the bottom of a collection for a while, chances are it probably won't be worn anytime soon. So it’s better to place them somewhere else. 2. The best and worst thing about organizing jewelry is the nature of jewelry itself. Make sure to know what to keep and what to stay in your jewelry box. 3. Get thrifty. Just like clothes, jewelry can easily be sold or donated to a local thrift store. 4. Old jewelry proves rife with potential in terms of decorative makeovers that require minimal effort. So yes, you can make a new jewelry out of your old ones; all you need is a little imagination and effort. 5. Are you really going to wear that chunky bangle from the '80s high school dance? 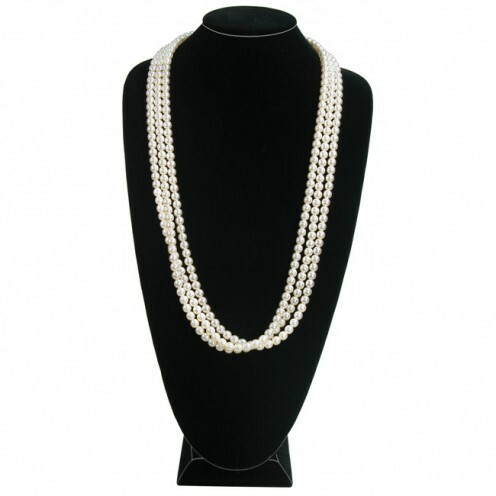 Do you really need all of those costume strands of pearls? If you don’t need it anymore then maybe it’s time to let it go and get it out of your jewelry boxes. 6. Being decisive is the best way to approach any attempt at cleaning, and jewelry proves no different. 7. Set aside anything with a vague sentimental value—not the heirloom earrings or necklace your grandmother gave you but those horrendous earrings you’ve worn on your high school prom like 7 years ago. 8. Some jewelry drowning beneath more recent purchases will most definitely seem worth resuscitating. Jewelry trends like clothes come and go, so better check out if the jewelry design has return as a trend then maybe you can wear it again. 9. It's all too easy to revert back to the same pieces day in and day out, but try to force yourself to get inspired by some older pieces of jewelry. 10. Old jewelry doesn't have to go to waste — just make sure if you decide to keep it, you actually do something with it instead of just letting it gather dust in a corner. For most women, purchasing jewelries is not the easy; we all look for jewelry pieces that are elegant in their designs, those that are made of perfect and precious materials. 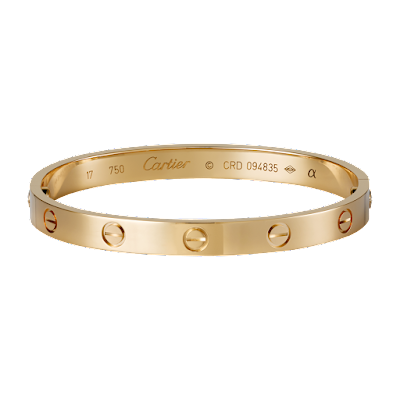 But buying such jewelry is going to be a carefully considered purchase to make only after creating a budget, researching price comparisons, and probably saving up for some time. But imagine for a moment that money was no object, where would you go? 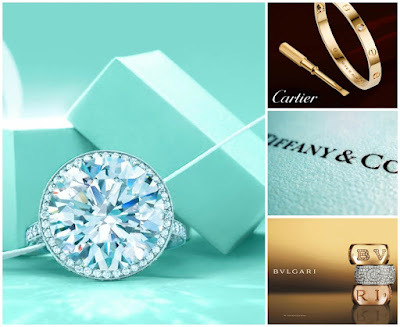 Well, such thought lead us to round up the most famous jewelry stores in the world where you can find the best and most fabulous pieces of jewelry. 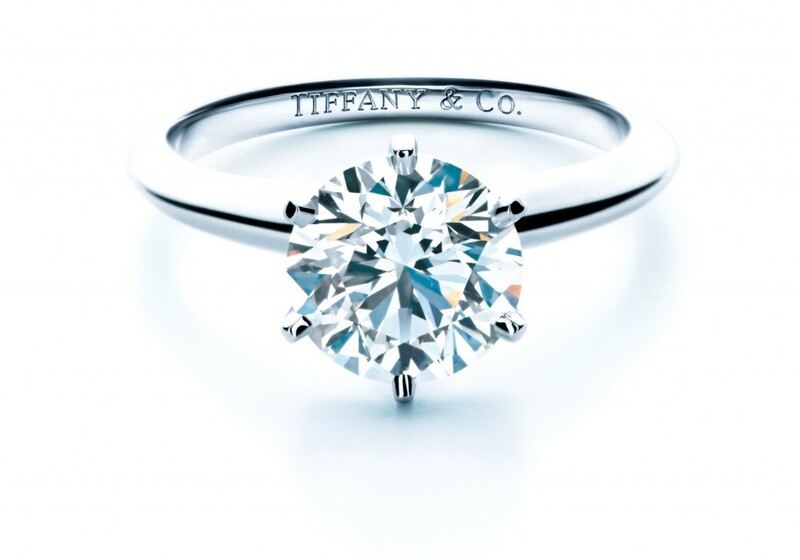 Tiffany was established in 1837 by Charles Lewis Tiffany, they are now known to be a very exclusive store. 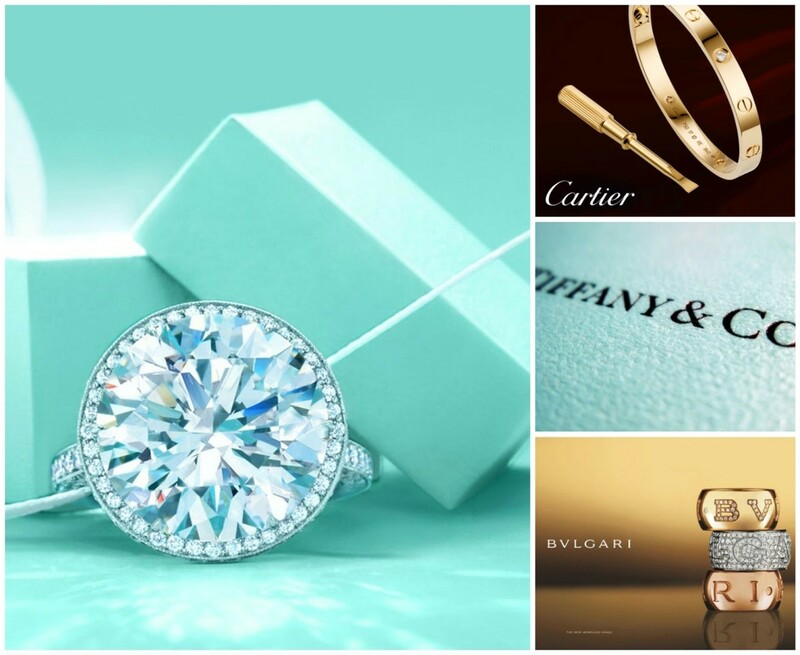 Tiffany and Company is known for their classic, clean-cut diamond jewelry designs, such as the classic tiffany-style setting popularized by the brand, and for its iconic stature in popular culture. It has also trademarked the particular shade of blue used in all their advertising and packaging, and jewelry boxes. 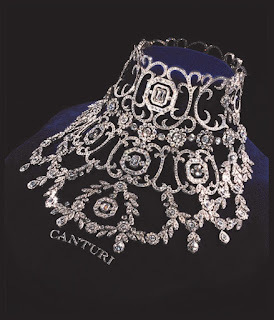 Founded by Louis-Francois Cartier in Paris in 1847, the Cartier jewelry and wristwatch company is one of the world’s most famous jewelers and the only one that can truly claim to the be “jeweler to the kings.” Similarly to Tiffany, Cartier has a reputation for quality that precedes them. 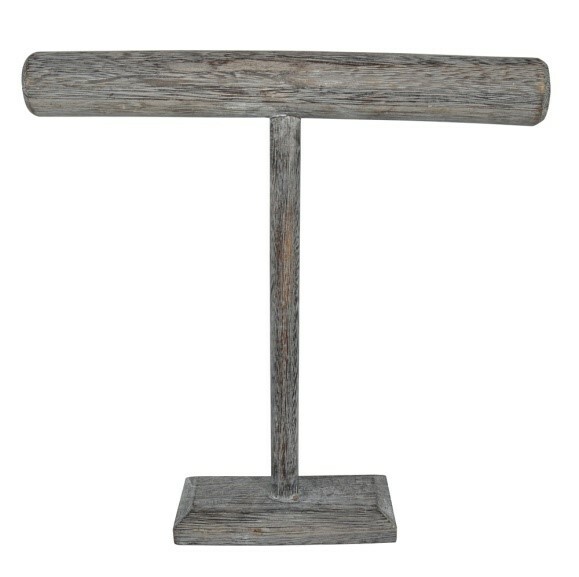 Whilst their price tags are also out of most people’s reach, there range of products is undeniably beautiful. 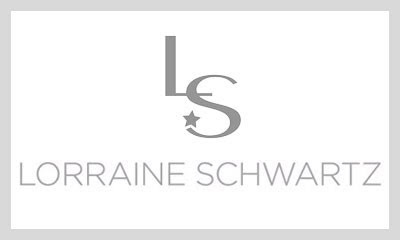 Although the company has been around for three generations, the jewelry firm now known as Lorraine Schwartz Diamonds & Fine Jewelry. She has designed for celebrities such as Beyoncé Knowles, Jennifer Lopez and Cate Blanchett. 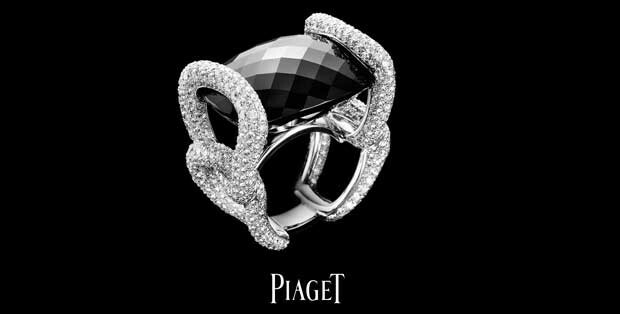 From its humble beginnings in a small Greek village, the Bulgari jewelry company has risen to become one of the most famous jewelers in the world. 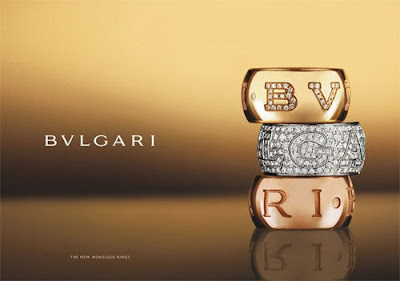 The trademark is usually written BVLGARI in the classical Latin alphabet, and is derived from the surname of the company's Greek founder, Sotir Bulgari. Today, Bulgari operates almost 300 stores around the globe, and was sold in October of 2011 to the LVMH luxury goods conglomerate for a record-breaking $6.01 billion. Hand displays are classic pieces to showcase the beauty of jewelry in the most elegant way possible. It’s usually made from polystyrene plastic and shaped in a form of a ladies hand. 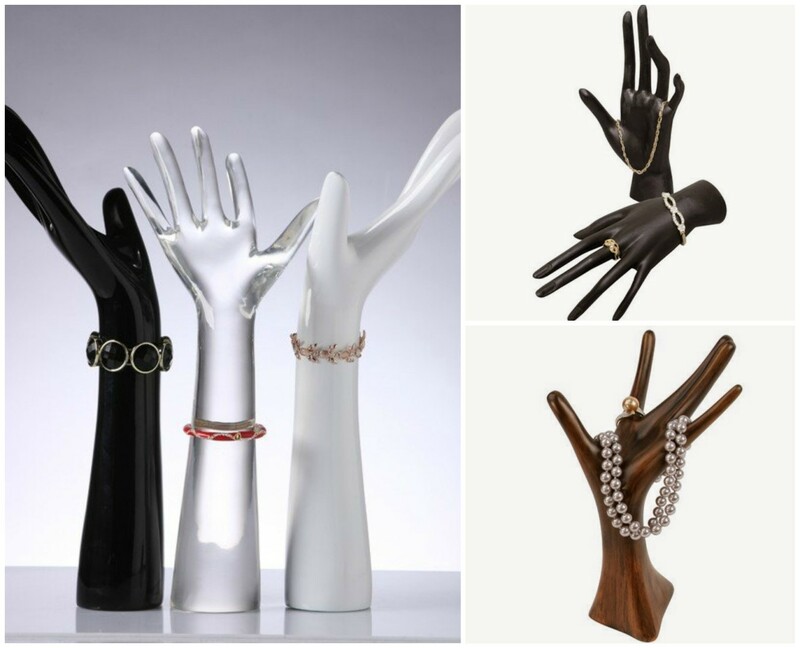 Hand displays can let you showcase different types of rings, bracelets, necklaces or bangles all at the same time. And like mannequins, hand displays can be dressed up to match the theme of your jewelry or the designs of your jewelry store. And the best thing about this jewelry display is that you can mix and match jewelry to give your customers more idea on how to wear your collection. That’s why we’ve put up a list of tips on how you can use your hand display to perfectly showcase your new jewelry collection, and make sure that it can catch your customer’s eyes. • Choose a unique hand display form. 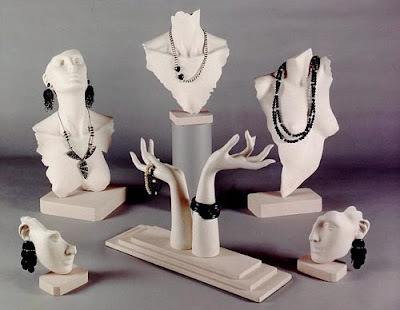 You can easily opt to buy the usual hand display form at any jewelry display supplies store online, but as much as possible, choose for a unique form that will elevate the looks of your overall display and will let you experiment more on your display. • Choose hand display with the right height. 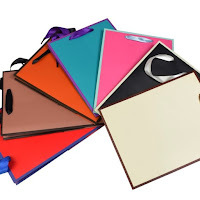 Hand displays vary in height or weight. Make sure to pick the right one that will let you hang your creations properly. 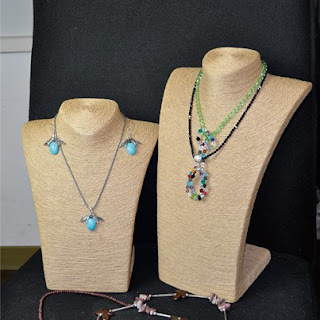 If you’re planning to use it as necklace display for short chunky necklace, consider the weight of your jewelry and make sure that your hand displays are sturdy enough to hold its weight. Long pearl necklaces can be displayed by looping it around the fingers until you form a multi layered look. • Decorate around the hand display. If you’re planning to make your hand display the centerpiece of your display, it is important to decorate it properly to let it stand out against other items in your jewelry display. You can paint it in different fun and exciting colors that complement the colors of your jewelry or dress it up with some piece of cloth. You can also place it next to other display racks to create variation on your display and to make your display table more interesting for your customers. When it comes to selling jewelry, your display can either make or break your business. If you haven’t seen any improvement in your sales in the last couple of months, you might want to take a closer look at your display. An eye-catching display will surely attract more customers and possibly more sales as well. Less is always more even in your display. That's why it's best to display a few of the best selling items on your table as possible. 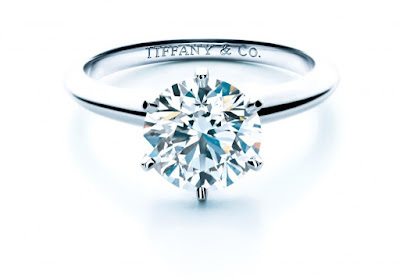 Seeing a lot of choices can overwhelm your customer and may cause them not to buy the jewelry they like in the end. So always remember to keep your display smart for your customer's easy and hassle-free shopping. Always update your jewelry display. 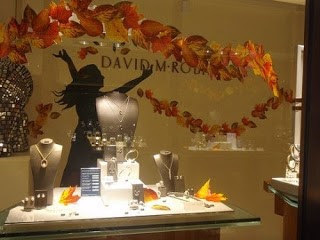 Jewelry trends change from season to season that's why it's important to always change your display from time to time. People especially fashionista are always updated with the new trends and if they don't see something new in your shop then they'll immediately jump to the next store. That's why it's always important to check your jewelry collection, as well as your jewelry display if possible. Bring out the beauty of your jewelry display buy placing some colorful designs. In accordance to this, you could also keep in mind to use contrast on your jewelries and the displays you're using. 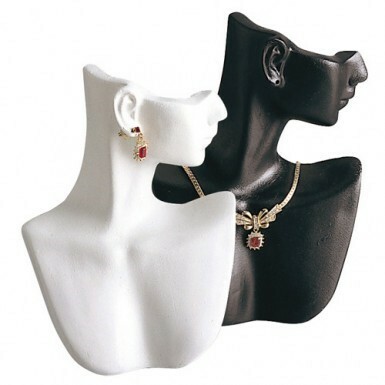 This way, the jewelry will likely stand out and attract the attention of the customers. A good business man will always use an occasion to market their product and use it to put a theme on their shop to gain the attention of passerby that can turn into customers. It always shows your creativity. Use these occasions as well to create promotions and sales as well. New Jewelry Displays and Pouches from NileCorp! With the latest arrival of different jewelry displays, you now have more options as to how you can showcase your jewelry in your retail store or when joining events and trade shows. This September, we’d like to bring you more ways to showcase your vibrant jewelry pieces and inventory in a whole new way. No need to go looking for other sources for your ring or necklace display needs because we made sure to pick up the pieces that will be useful for your jewelry business. 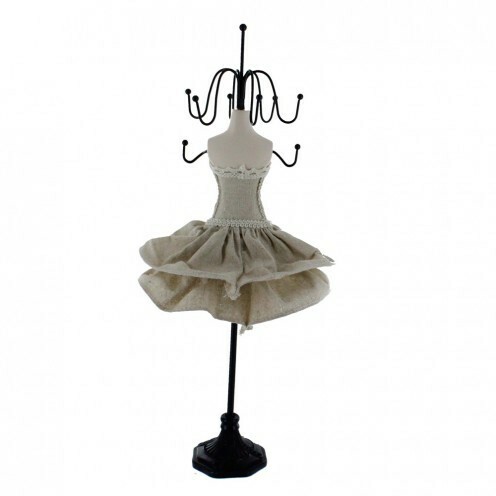 Included in the new products we have to offer are new pouches and linen doll display. Below are some of the items that you can find in our New Arrivals section. Enjoy your shopping! Jewelry Mirror Cabinet Armoire Stand, Mirror, Necklaces, Bracelets, Rings. Materials: Wood veneer, hardwood, MDF, Glass. Adjustable tilt frame solidly supports the mirror body. Overall Dimensions: 60 inches high x 16.5 inches wide x 19 inches deep. Inside Armoire Dimensions: 48 inches high x 15 inches wide. 8 3/4''W x 14 1/4''H. Natural, Black, White • 3 of Padded Fabric Covered Wood Necklace Display With Easel Leatherette Watch Box for 12 Watches • Navy Blue or Brown. • Store, organize, and display your watch collection securely with this two-toned brown PU leather watchcase featuring gold plated embellishments for a modern look. • It consists of a sturdy MDF frame and 12 individual beige suede cushions in divided compartments. • The high clearance lid features a clear glass window for easy viewing and a gold plated lock and key for added security. 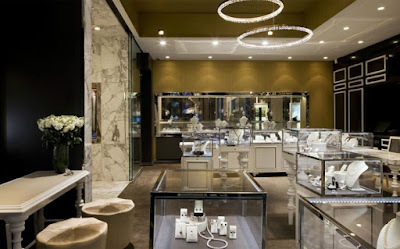 In a jewelry store, the jewelry display should be as eye-catching as the jewelries. Creating an impressive jewelry display does not only attract first time buyers but also keeps people coming back to your store. It’s an important key that can help you gain an upper hand against your competitors and will secure loyalty among your regular shoppers. So before displaying those lovely jewelries in your inventory, first let's determine the things you should consider when buying a necklace display stand. It is best to consider how your jewelry will look with your chosen necklace display. It should emphasize the jewelry. The best way to do this is through putting a jewelry with a color contrasting the necklace display. This way your jewelry will stand out. 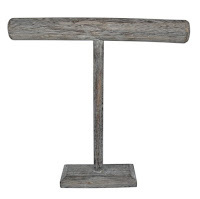 Durability is important when picking up any necklace display stand for your store. You need to make sure that you can bring it on tradeshows and conventions without breaking apart. 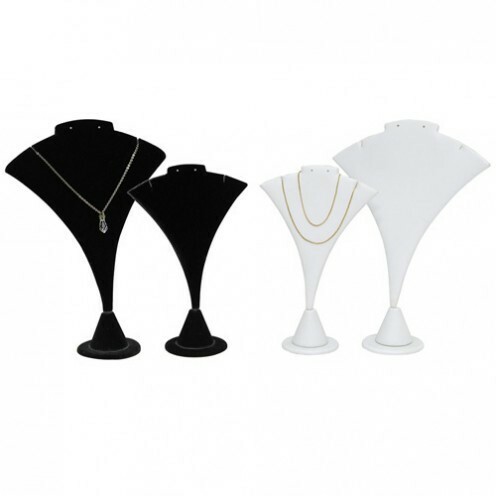 There are several types of necklace displays in the market suited for different types of necklaces. Make sure to read several magazines or tips about the difference between each of the necklace displays to determine which necklace are appropriate to be display on them. 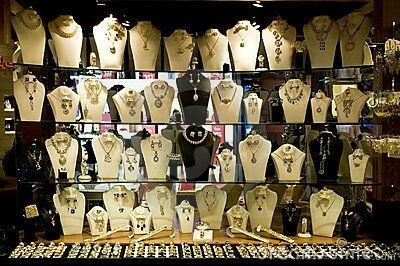 Always remember when looking for a necklace display is that it shouldn't take more space than necessary. 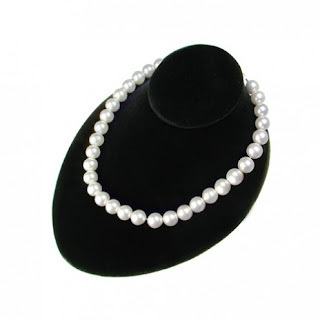 Look for an item that will not look too big or out of place in your jewelry store. It is also important that it coordinate with the rest of your other displays. Lastly look for a display that is easy-to-use and can easily be loaded up with items. Such characteristics makes it possible to bring such display during trade shows and events where you don't have a lot of time to display your items. During autumn, many retail stores try to create their interpretation of fall on their window displays to attract customers. And if you still don't have an idea on how to create one for your own shop, then here are some jewelry display ideas from NileCorp. 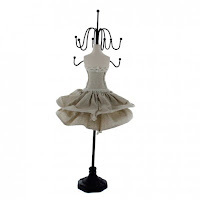 The Paper Twine Mannequin Display is paper sculpted and wrapped by woven natural fiber. Color and sizes may vary slightly since they are handmade. Display some chic necklace jewelry to compliment the display. The Linen Covered Padded Wood Necklace Display with Easel is perfect to display those aquamarine or bluish-beaded necklace in your jewelry collection. It practically brings out the color of your necklace and instantly can get someone's attention. 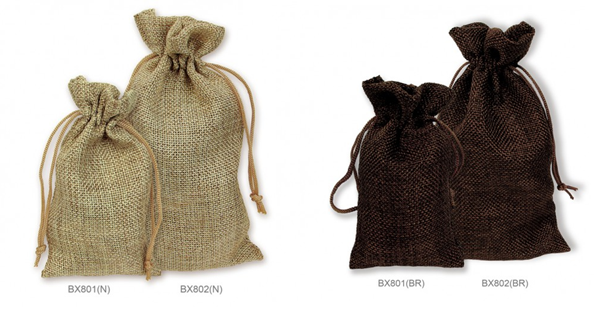 For packaging ideas, NileCorp also offers burlap pouches. You can even adorn these burlap puches with a wire leave twine for a festive look. 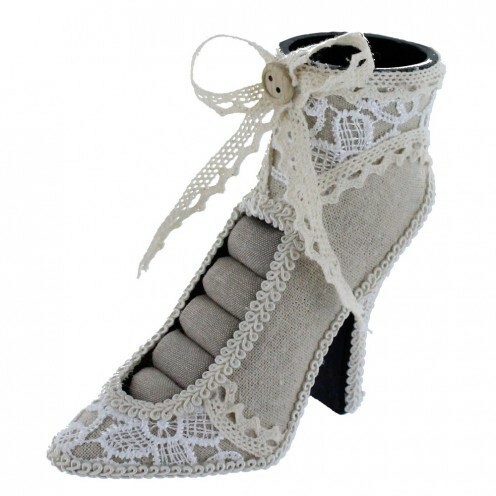 This packaging gives off a shabby chic look that your customers will surely adore. Autumn is a great way to find new strategy and opportunities to sell your jewelries, and I hope that these necklace display ideas and packaging can help you boost your sales this season. September has already started, which means autumn will soon arrive as well. Do you already have an idea on how will you get your store prepped up this autumn? If not then here are some fall display ideas from NileCorp.com to help you set the mood for this festive season. Try to add a few autumn leaves in your display from your window to your interior. 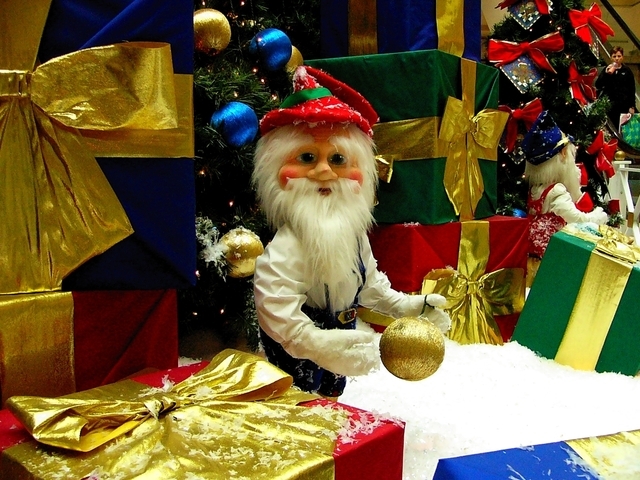 This will highlight the season and attract customers to step inside your retail store. You can also decorate your necklace busts and earring displays with twigs and a few autumn leaves to spice up the display even further. 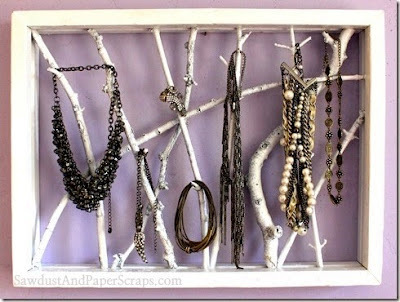 Another creative way to display jewelry this season is by hanging different necklaces, earrings or bracelets on wooden twigs. You can check out DIY tutorials to how you can create your twig-inspired jewelry display, just like from SawDustGirl Blog. If you certainly don’t have a time to create DIY displays then I suggest that it is time to invest on autumn-inspired jewelry displays just like this Metal Tree Earring Display from NileCorp.com. It has a warm copper color that greatly goes well with an autumn-theme shop. We also have our paper twine necklace displays that we sure will look outstanding against your necklaces. Just add a few leaves or twigs and a touch of orange, and I'm sure that this will bring a wonderful autumn effect on your shop. 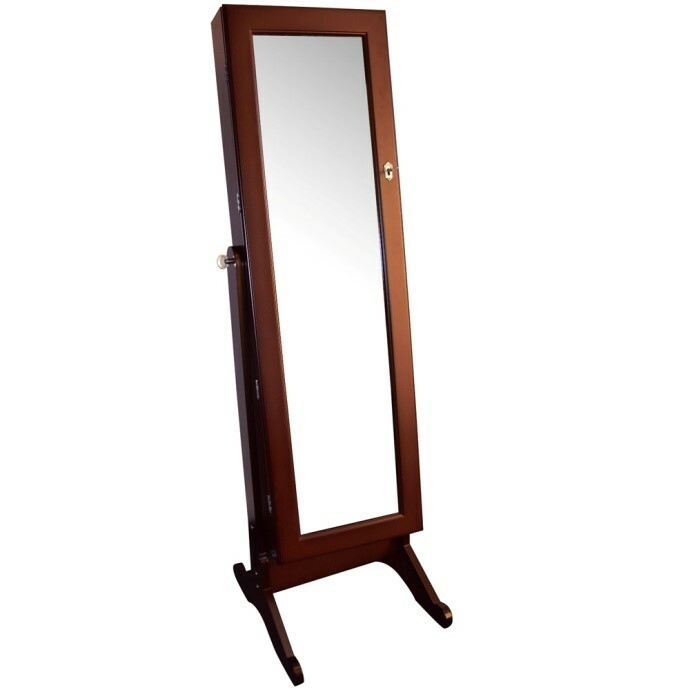 New Arrival: Wooden Display Box and Jewelry Mirror Armoire Stand! 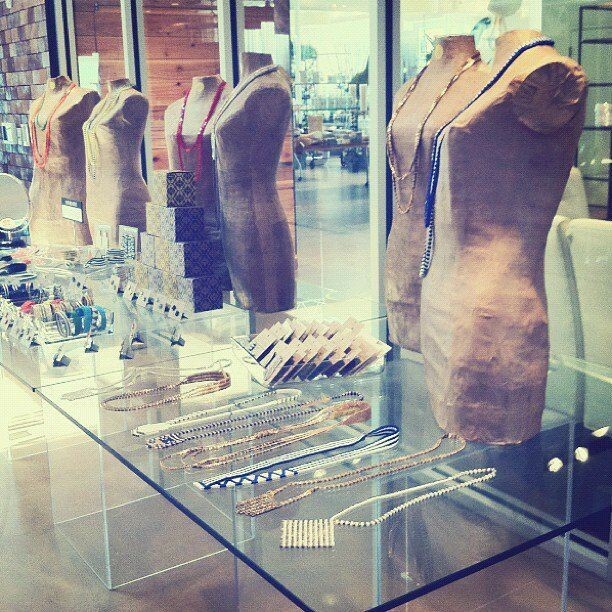 Our jewelry display collection just got even better! This August, we’d like to bring you more ways to showcase your vibrant jewelry pieces and inventory in a whole new way. No need to go looking for other sources for your ring or necklace display needs because we made sure to pick up the pieces that will be useful for your jewelry business. 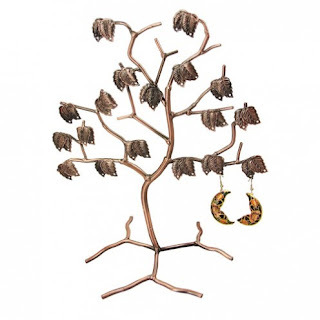 Included in the new products we have to offer is an elegant natural wooden box display and a dazzling jewelry mirror armoire stand for your customers to try the newest jewelries in your collection. We also have new different gift tote bags and gift boxes, leatherette watch boxes and fabric wood necklace display. Are you ready for some exciting treats? Below are some of the items that you can find in our New Arrivals section. Enjoy your shopping! • 16 1/2"W x 19"D x 60"H • White, Rosewood or Espresso Brown • Jewelry Mirror Cabinet Armoire Stand, Mirror, Necklaces, Bracelets, Rings. Materials: Wood veneer, hardwood, MDF, Glass. 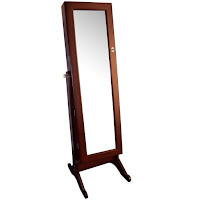 Adjustable tilt frame solidly supports the mirror body. • 7"W x 4"D x 9" • Colors are available in: Red/Blue, Pink/Blue, Orange/Black, Light Brown/Black, Cream/Brown, Blue/Purple • Color Gift Bag, 210gsm white card paper with texture. 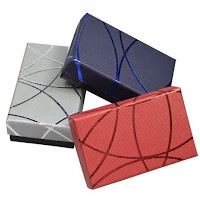 • 2"L x 3 1/4"W x1"H • Blue, Red, Silver Embossed • Embossed Swirl Foil Small Earring Boxes. Two-piece paper box include flocked inserts. • 8 3/4''W x 14 1/4''H. • Natural, Black, White • 3 of Padded Fabric Covered Wood Necklace Display With Easel Leatherette Watch Box for 12 Watches • Navy Blue or Brown. • Store, organize, and display your watch collection securely with this two-toned brown PU leather watchcase featuring gold plated embellishments for a modern look. • It consists of a sturdy MDF frame and 12 individual beige suede cushions in divided compartments. • The high clearance lid features a clear glass window for easy viewing and a gold plated lock and key for added security. Nile Corp. is already a well-established name in the jewelry displays and supplies business since 1995. We offer quality products, unmatched selection, incomparable pricing, and customer service that you've come to rely on over the years. Because of our loyal supporters, we're one of the largest distributors and wholesalers of jewelry displays and supply products.